Yesterday evening Katherine had the “back to school tomorrow blues” and I was sitting around, twitching because of a scheduled meeting. After a little wallowing, I decided that there was no way that such a wonderful weekend was going to end on such a low note and dragged the family off to Greyman’s Beard. 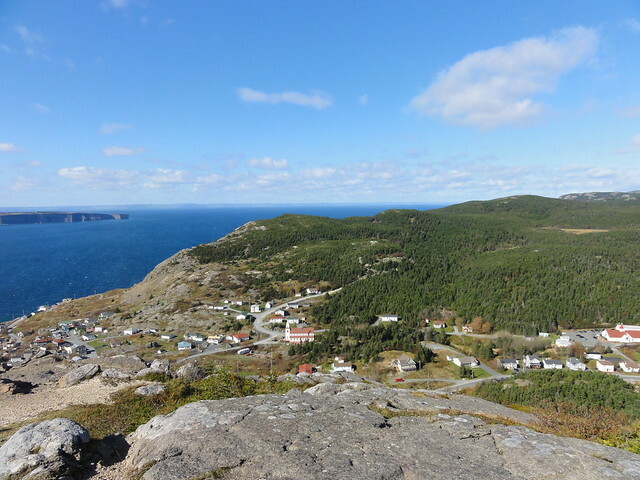 Greyman’s Beard is a hill in Portugal Cove-St. Philip’s that overlooks Conception Bay and the islands therein. It’s called Greyman’s Beard because of the beard-like formation of icicles that freeze on the face of the cliff in winter. 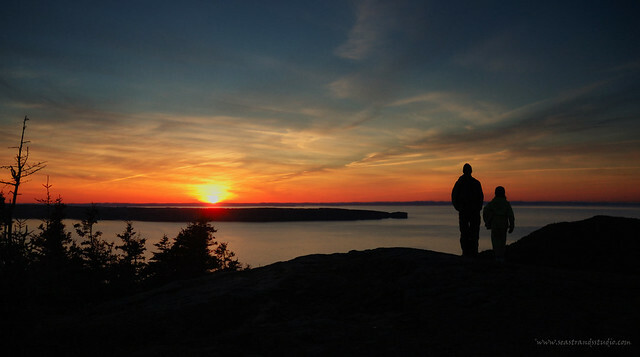 You can see clean over Bell Island and it’s a marvelous place to watch a sunset. I found it once when geocaching, as some cacher had placed a pin exchanged up there (it’s still there – GC2E03G). I had been meaning to bring Katherine and John back for ages and last night finally got my chance. It was the perfect way to resurrect an evening that was deteriorating into mush.